Youth EOPN is provided for you and you can open it with EOP NMN Follow ME plugin to play Youth piano by following it. Enjoy Now! 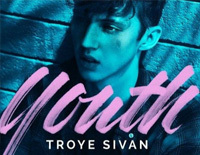 Youth is a song by Australian singer and songwriter Troye Sivan from his debut studio album Blue Neighbourhood. It was written by Sivan, Bram Inscore, Brett McLaughlin (Leland), Alex Hope and Allie X.